A precision wire cutter that produces a clean, square cut by employing bypass cutting, which requires less effort than compression cutting, making it especially effective for highly repetitive electrical and electronics applications is available from Xuron Corp. of Saco, Maine. 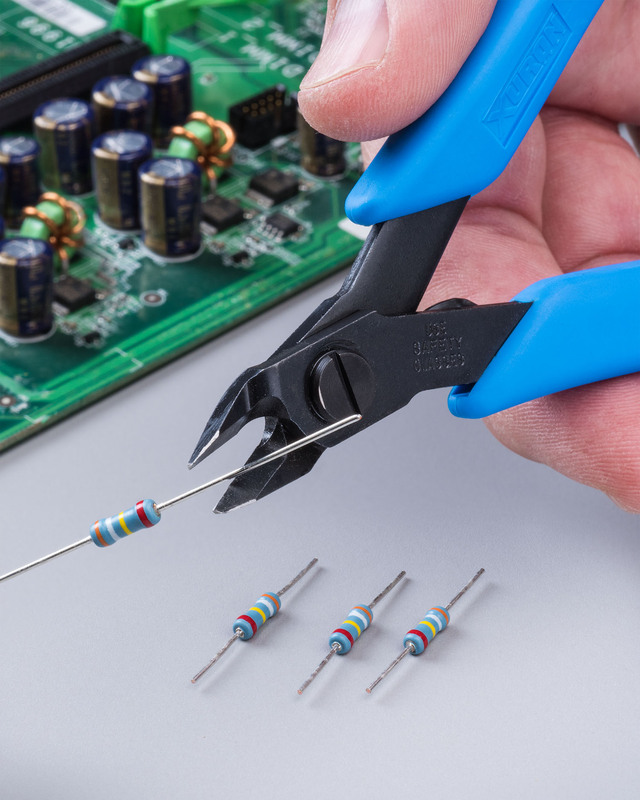 The Xuron® Model 9200 Micro-Shear® Flush Cutter is an ergonomic hand tool that produces a square cut on soft wire up to 14 AWG and is designed for use in assembly, production, and field service operations. Featuring a tapered head with precision cutting edges and a non-glare black finish, it has non-slip Xuro Rubber™ hand grips and a Light Touch™ return spring. Made from tough alloyed steel with the blades fully hardened to Rc 56-58, the Xuron® Model 9200 Micro-Shear® Flush Cutter is offered in several models with standard handgrips and ESD safe grips, with or without lead retainers. A wide range of precision cutters with specially designed heads for heavier materials including pneumatic types and pliers are also available. The Xuron® Model 9200 Micro-Shear® Flush Cutter sells for $24.75 (sugg. retail). A complete product catalog is available upon request.